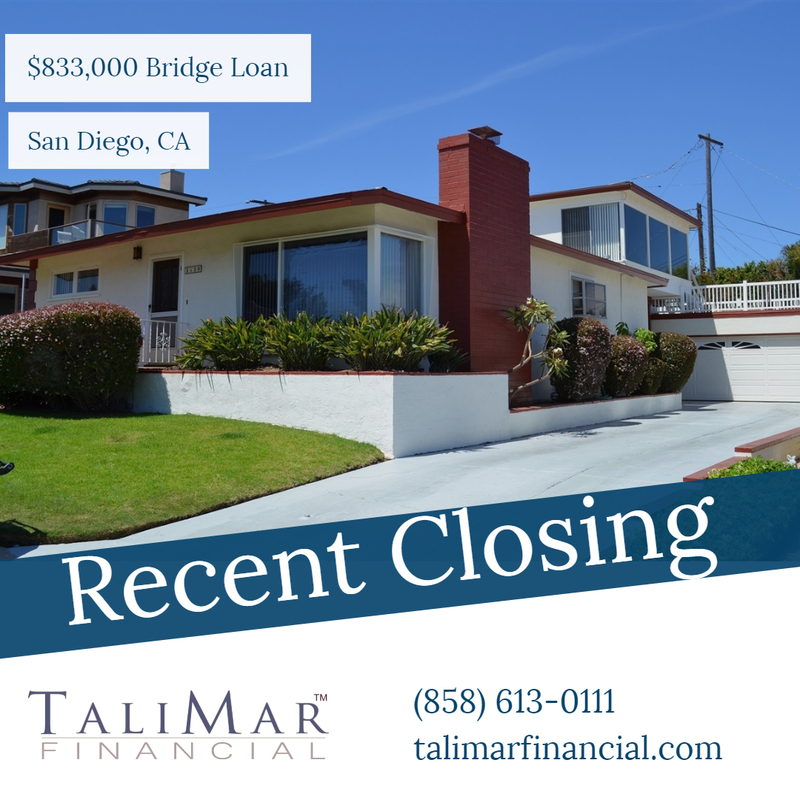 San Diego, CA – TaliMar Financial is pleased to announce its most recent funding of a $833,000 bridge loan secured on a single family home in San Diego, CA (click here). The Borrower intends to complete a cosmetic update of the interior and exterior of the property. The update will include modifying the existing footprint of the house. The exit strategy will be the sale or refinance of the property. The Borrower first approached TaliMar Financial for financing after their existing Lender was not able to perform quick enough. TaliMar Financial structured and funded the loan for the Borrower in less than 5 business days. Had the Borrower not been able to close, the purchase contact would have expired and the Borrower risked losing the deal. TaliMar Financial is a hard money lender that specializes in funding fix & flip, construction, and bridge loans in California. As a direct lender, we can fund loans within 5 business days and offer aggressive financing options. For more information on TaliMar Financial and our hard money lending programs, please contact Brock VandenBerg at (858) 613-0111 x1 or visit us at www.talimarfinancial.com.